SOUTHFIELD, Mich., Sept. 26, 2011 /PRNewswire/ -- Federal-Mogul Corporation (NASDAQ:FDML - News) today announced the development of a new brake friction manufacturing facility in Chennai, India. The company, through one of its Indian subsidiaries, broke ground earlier this year on a 10-acre site for construction of the new 38,000-square-meter facility to manufacture the company's broad portfolio of leading-edge technology, environmentally-friendly brake friction materials for the OE and aftermarket segments for automotive, construction, railway and industrial customers. Production is scheduled to begin before the end of 2011. "India is one of Federal-Mogul's strategic bases of operations for serving the fast-growing Indian automotive market in Southeast Asia and other global markets. Our newest manufacturing facility in Chennai will enable us to better serve brake friction technology requirements for existing and new customers in several markets in the region and globally," said Federal-Mogul President and CEO Jose Maria Alapont. "When we bring on-line the Chennai manufacturing facility later this year, Federal-Mogul will have the ability to manufacture our global market-leading brake friction products in every major geographic automotive market around the world, complemented by our strong base of regional technology and engineering centers supporting our brake friction customers." The new Chennai facility will initially produce non-asbestos organic disc brake pads for light vehicles, half block linings for commercial vehicles and brake blocks for railway and industrial customers. The company expects to employ approximately 300 people when the facility is in full operation. Federal-Mogul's investment is expected to be approximately US $15 million. "The combined Indian automotive, commercial and railway markets are expected to grow on average by 14 percent per year over the next five years," said Jean de Montlaur, president and managing director, Federal-Mogul Group of Companies - India. "The aftermarket is also rapidly growing as the influx of new vehicles has expanded the total Indian car parc, resulting in new requirements for high quality OEM-style repair and maintenance parts. Demand in India for technology is becoming increasingly sophisticated as the world's vehicle makers are all competing for a share of this expanding market. India is a strategic market for Federal-Mogul and we have invested in the capacity and infrastructure to maintain and grow our leadership position in India and globally." "The new Chennai facility will help Federal-Mogul broaden its portfolio of global-leading technologies produced in India," Alapont added. "Bringing the production of new friction technologies to India supports the company's sustainable global profitable growth strategy, which is based on delivering leading high-tech and innovative solutions for improving fuel economy, reducing emissions and enhancing vehicle safety." Federal-Mogul established joint venture operations in India in the 1950s. The company has since established several wholly owned operations and majority joint ventures in the country. The company has grown its revenue from its Indian operations to approximately $250 million and currently employs more than 6,600 employees in seven manufacturing facilities in Bangalore, Bhiwadi, Parwanoo, Patiala and Radrapur. 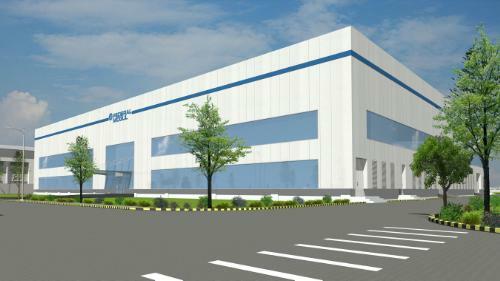 The new Chennai facility is the company's eighth manufacturing facility in India. Federal-Mogul's Indian headquarters is in New Delhi, and one of the company's 18 globally-networked technical centers is in Bangalore. Together these facilities design, develop and manufacture a broad range of Federal-Mogul's market-leading vehicle powertrain components, including pistons, piston rings, engine bearings, ignition and sintered products; for both OE and aftermarket customers. Federal-Mogul Corporation is a leading global supplier of powertrain and safety solutions to the world's foremost original equipment manufacturers of automotive, commercial, aerospace, marine, rail and off-road vehicles; industrial, agricultural and power generation equipment; as well as the worldwide aftermarket. Federal-Mogul's leading technology and innovation, lean manufacturing expertise, and global distribution network deliver world-class products, brands and services at a competitive cost. The company's sustainable global profitable growth strategy creates value for its employees, customers and shareholders. Federal-Mogul was founded in Detroit in 1899. The company is headquartered in Southfield, Michigan, and employs approximately 45,000 people in 35 countries. Federal-Mogul's aftermarket products are sold under a variety of well-known brands, including: Abex®, AE®, ANCO®, Beral®, Carter®, Champion®, FP Diesel®, Fel-Pro®, Ferodo®, Glyco®, Goetze®, MOOG®, National®, Necto®, Nural®, Payen®, Precision®, Sealed Power®, Speed-Pro® and Wagner®. All trademarks are owned by Federal-Mogul Corporation, or one or more of its subsidiaries, in one or more countries. Visit the company's website at www.federalmogul.com.